Among sectors energy, IT and pharma indices led the gainers, while auto, infra, FMCG and metal indices ended in red. Market at close: Benchmark indices ended higher on Monday but gave up some of its intraday gains in the last hour of trading. Nifty finished above 10,950 level with the help of energy stocks led by Reliance Industries. 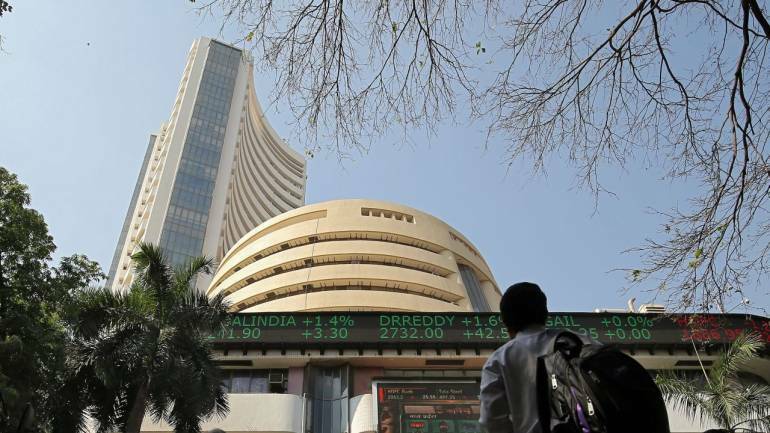 The Sensex was up 192.35 points at 36,578.96, while Nifty was up 54.90 points at 10, 961.90. About 930 shares have advanced, 1651 shares declined, and 155 shares are unchanged. Hindustan Zinc Q3 result: Net profit was down 3.8 percent at Rs 2,211 crore, revenue was down 6.5 percent at Rs 5,540 crore. Lupin gets USFDA approval: The company has received approval for its Levothyroxine Sodium Tablets USP, 25 meg, 50 meg, 75 meg, 88 meg, 100 meg, 112 meg, 125 meg, 137 meg, 150 meg, 175 meg, 200 meg, and 300 meg from the United States Food and Drug Administration (FDA) to market a generic version of AbbVie, Inc's Synthroid Tablets. GHCL Q3 result: Gujarat Heavy Chemicals (GHCL) has registered 44 percent jump in its third quarter (Q3FY19) net profit to Rs 102.5 crore against Rs 71.2 crore in the same quarter last fiscal. Revenue of the company was up 21 percent at Rs 869.9 crore against Rs 717.9 crore. JSUT IN | Union Bank of India Q3 net profit at Rs 153.2 crore, Gross NPA at 15.66% and Net NPA at 8.3%. Rupee Update: The Indian rupee erased most of its morning losses and trading marginally lower at 71.23 per dollar against Friday's close 71.18. It touched 71.52 intraday Monday. Result reaction: Share price of HUDCO gained 10.6 percent after company reported strong set of numbers for the quarter ended December 2018. The company's Q3FY19 net profit was up 27 percent at Rs 328 crore against Rs 259 crore in the same quarter last fiscal. BREAKING | SREI Infra Board has approved the demerger of lease business of SREI Equip to SREI Asset. JUST IN | According to a report by CNBC-TV18, Mehul Choksi is believed to have surrendered his Indian passport to the High Commission in Guyana. 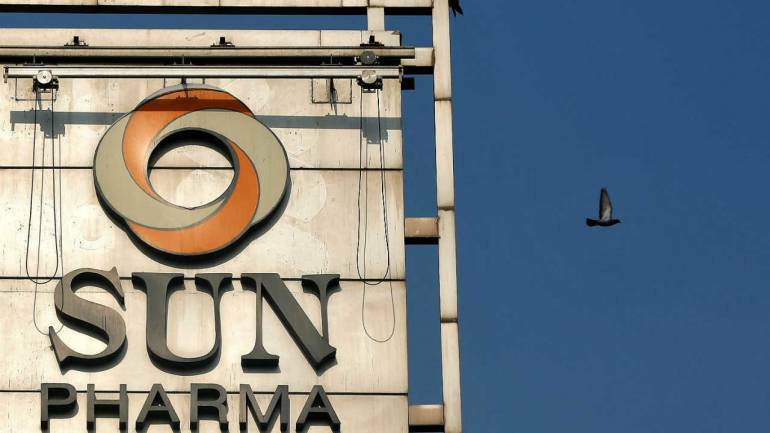 Sun Pharmaceutical Industries Ltd has asked SEBI to investigate in its 'entirety' the matter of a whistleblower's complaints. SEBI should lose no time in doing so. RESULTS Kotak Mahindra Bank, on Monday, reported a jump of 23 percent year-on-year in its net profit for December quarter at Rs 1,291 crore. The lender had posted a profit of Rs 1,053 crore during the same quarter of last year. The net interest income (NII), the difference between interest earned and expended, grew 23 percent YoY at Rs 2,939 crore from Rs 2,394 crore last year. The net interest margin rose to 4.33 percent from 4.20 percent in the previous quarter. On the asset quality front, gross non-performing assets (NPAs) rose to Rs 4,128.68 crore from Rs 4,033.07 crore last quarter. The net non-performing assets fell to Rs 1,397.27 crore from Rs 1,500.76 crore in the previous quarter. Citi on AU Small Finance Bank: Shares fell nearly 2 percent as global brokerage house Citi assigned sell rating on the stock after Q3 earnings. "Company's Q3 net profit was below estimate due to lower non-interest income. We cut earnings estimates by 2 percent / 5 percent for FY19/20 for less fees & costs," the brokerage said. AMFI, in consultation with SEBI and stock exchanges, came out with its half-yearly list of stocks, based on the data provided by Bombay Stock Exchange (BSE), National Stock Exchange (NSE) and Metropolitan Stock Exchange of India (MSEI). Market Update: Benchmark indices are trading off day's high with Nifty around 10,950 level. The Sensex is up 238.39 points at 36625, while Nifty is up 56.30 points at 10963.30. About 874 shares have advanced, 1255 shares declined, and 133 shares are unchanged. Reliance Industries, Sun Pharma, Infosys, Bajaj Finance and TCS are the top gainers on the Sensex. Buzzing: Shares of ITI surged 10 percent after company received purchase order from Gujarat Fibre Grid Network (GFGNL) under BharatNet Phase II project. 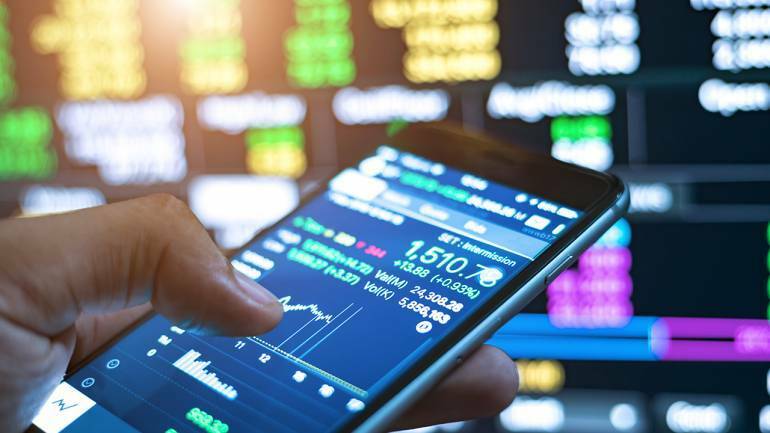 Shubham Agarwal The last week saw Nifty moving in a tight range of 10,700 and 10,950 in the first two days of the week, but the last three days saw index gyrating as Nifty witnessed some selling pressure around 10,920-10,930. Buzzing: Shares of PSP Projects added 2.7 percent as company received orders worth Rs 572 crore from various clients for industrial, residential and institutional projects. LIC completed the acquisition of 51 percent controlling stake in IDBI Bank on January 21 making it the majority shareholder of the bank. The deal, conceptualized in June 2018, is envisaged as a win-win situation for both IDBI Bank and LIC with an opportunity to create enormous value for shareholders, customers and employees of both entities through mutual synergies, the bank said in a release. Fugitive diamantaire Mehul Choksi has given up his Indian citizenship and surrendered his passport to Antigua, according to a report by NDTV. 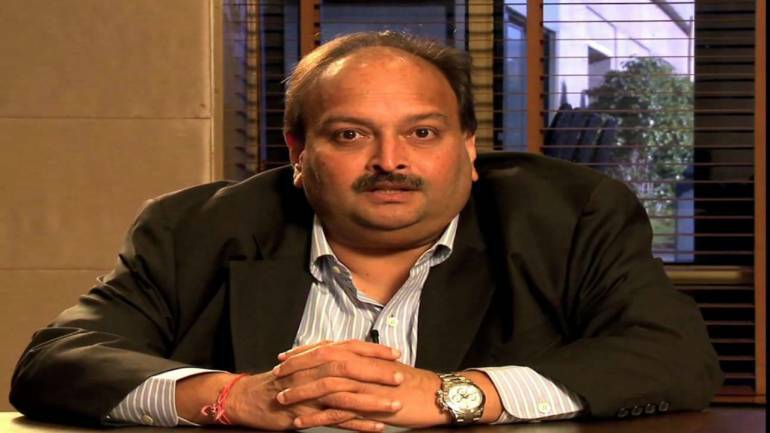 Choksi's move is being seen as an attempt to avoid getting extradited to India. Despite in-line Q3 earnings, Wipro is the biggest Nifty loser, down 2.72 percent. 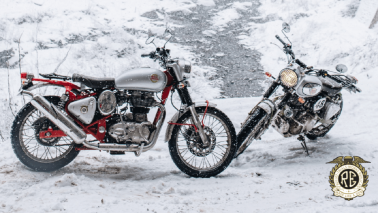 Bajaj Auto, down 1.22 percent and Hero Motocorp down 1.06 percent are next biggest losers on the index. IDBI Bank has approved the appointment of Rajesh Kandwal as an Additional Director and LIC''s Nominee Director on the Board of IDBI Bank. Sun Pharma and RIL are the biggest gainers in the early trade, and auto majors Bajaj Auto and Hero MotoCorp are the biggest losers. Rupee Update: The Indian rupee has extended the morning fall as it is trading lower by 30 paise at 71.48 per dollar. Wockhardt get USFDA approval: The company has received approval from the United States Food & Drug Administration (US FDA) for an ANDA for 100mg and 400mg tablets of Imatinib Mesylate, which is used to treat many kinds of cancers and tumors. 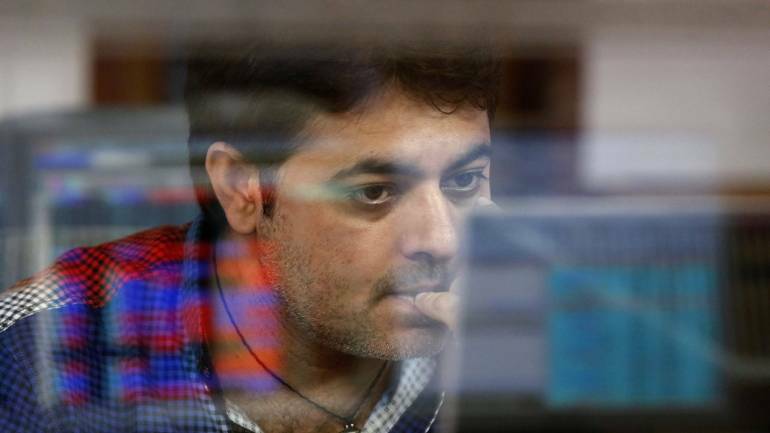 Buzzing: Shares of Larsen and Toubro declined by over 3 percent in morning trade as investors reacted to Sebi denying permission for its buyback issue. The engineering major on January 19 said market regulator Sebi denied permission for its Rs 9,000 crore share buyback offer. Market opens: Benchmark indices started the week on a flat note with Nifty holding above 10,900 level. The Sensex is up 30.57 points at 36417.18, while Nifty is down 0.40 points at 10906.60. About 386 shares have advanced, 448 shares declined, and 56 shares are unchanged. 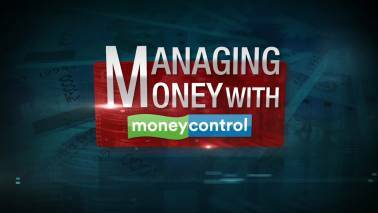 HDFC Bank, Sun Pharma, NTPC, Infosys, RIL are trading higher, while Wipro, L&T, IOC, BPCL, TCS, Jet Airways, South Indian Bank, DCB Bank, are among major losers. Rupee Opens: The Indian rupee opened lower by 18 paise at 71.36 per dollar on Monday versus Friday's close 71.18.